HEBCoN is delighted to be able to offer you this excellent exercise opportunity to delve into the intricacies of emergency management, delivered by experts in this field. 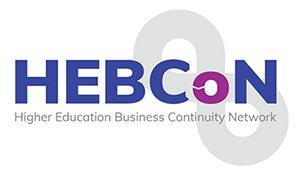 As well as offering you, individually, a chance to improve your emergency management understanding, there is no better way to help develop your own establishment’s procedures than with like-minded colleagues from across the Higher Education community. The course is designed for middle management level staff with an operational response role in organisation. The course would be based on three desktop scenarios, which following some didactic training would form the basis of the delegates activities. In the time available the delegates would play several roles assisted by roles cards with prompts for consideration. The ability to perform your role in a crisis management team with a degree of proficiency as well as gaining an understanding of the strategic implications of any event. Cost per delegate will be £300, please email info@hebcon.org to book a place.